I would like to ask about recce vehicle Dozor, which is based on kamaz Vystrel armored vehicle. Anyone have any info about remote weapon station with 12,7 mm machine gun. What FCS does it have, does it have night capabilities? It seems it carry small UAV ZALA 421-08. Could it send picture from UAV in real time to higher command? Isn't the Dozor-B a Ukrainian vehicle? Made by the Kharkov Morozov Machine building plant (that also makes T-80s). No, this vehicle is Kamaz Vystrel, but in Moscow parade they said it is named Dozor. Another vehicle presented at the exhibition – a special armored vehicle KAMAZ-43269 Dozor (Patrol) intended for patrol and reconnaissance services as well as for convoying showed itself to good advantage at tests. At the same time Dozor protects a crew and landing forces. The armored vehicle can quickly gain a speed of 90 km p.h. which ensures successful execution of tasks. Dozor is meant for operation at the ambient temperature from -45°Ñ to +50°Ñ, the relative air humidity of 98%, the wind speed of 30 meters per second, in the mountain terrain at the heights of 4500 m. There is a room for 6 soldiers, including a driver and a commander in the vehicle, and a 16-millimeter armor provides them with a full local armoring under fire according to the 6th protection class. Moreover the soldiers have got an opportunity to fire the enemy through loopholes. On 8 July the 7th International Exhibition of Armament, Military Equipment and Ammunition was opened in Nizhny Tagil. The exposition of KAMAZ Inc. took one of the central places there. Military equipment, armament, ammunition and their components as well as equipment of railroad troops were presented at the exhibition. A considerable interest was traditionally aroused by new products of backup facilities. Being the leader of the Russian truck industry and one of guarantors of defence capability of the Russian Federation KAMAZ Inc. presents production of various kinds. Some customers were interested in an artillery tractor KAMAZ-6350 with an armored cab and a habitable compartment for a team as well as an artic KAMAZ-65225. Vehicles on KAMAZ-5350 chassis – a side KAMAZ-5350 with an armored cab and a functional module and a side KAMAZ-5350 with a crane-manipulating installation IM-55 look more modest but no less functional and efficient. A special armored vehicle KAMAZ-43269 Dozor (Patrol) intended for patrol and reconnaissance services as well as for convoying showed itself to good advantage at tests. One of the most powerful vehicles – a side KAMAZ-6560 (8x8) with a hydromechanical transmission is the last representative of the military “collection” of the Kama auto plant. The exhibition was closed on 11 July. During the demonstration program, the audience managed to appreciate propulsive performance of KAMAZ vehicles, their high cross-country ability and versatile use. An armored vehicle KAMAZ-43269 “Dozor” (Patrol) was a great success. It attracted the Kuwait Ministry of Defence representatives’ great attention. And when during the demonstration under firing ground conditions “Dozor” got over a ford so deep that the water level was higher than its roof, many spectators couldn’t help crying enthusiastically. I hope this time work. On the picture here is Dozor recce vehicle. On the first one is seen small UAV, but RCWS is not the best seen. It have 12,7 mm machine gun, but almost nothing is known about FCS and if it have any stabilization. Sorry, I can't read Russian but this short video shows a 12.7mm gun position for a vehicle and in one of the comments is a word that looks like Dozor... it has the symbol for D and then 030 and then a P which I know is an R and then an a and an x so it says dozorax. I think RWS on this picture is better visible. Apparently that's a border guard vehicle. Thanks for the photos, vid and link. From the photos it is interesting with those air filters above the rear doors, this vehicle clearly has an NBC system. Would like it better if they fitted the new BTR-80A type turret rather than the old BTR model. From the link above, this vehicle could be the APC and air defence vehicle... I wonder if this might be the family vehicle for the Light Brigade units? They might replace the 125mm gun armed version with a Tigr-M with Kornet-M missiles? I see there is a version with the BTR-80A/82 type turret with a 30mm cannon, so it is good it can use that turret too. Excellent photos of Vystrels with Strela-10 and BTR-82A turret. I think in one of shows (MAKS or any other) they also show Vystrel equipped with BTR-82A type of turret with twin barrel GSh-30 gun and two Igla missiles. 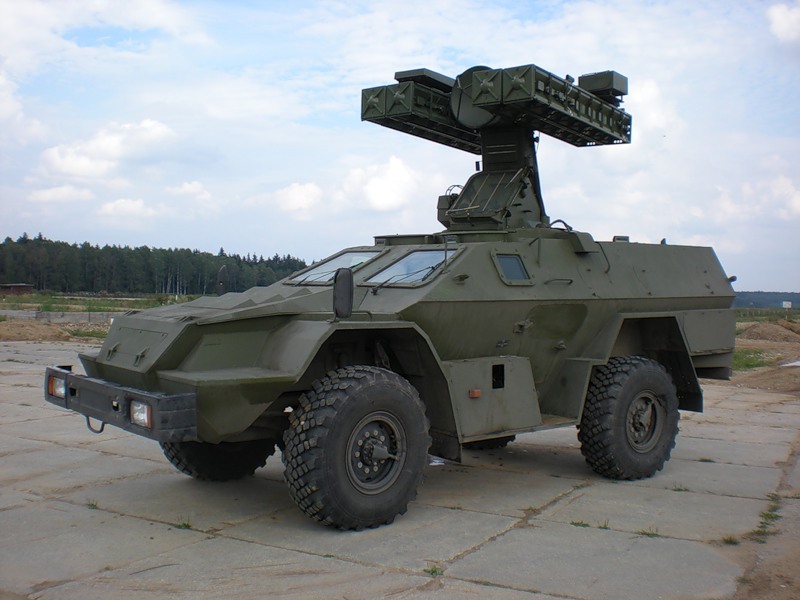 It looks like border guards Vystrels use turrets with machine gun and AGS. Is this turret stabilized to fire on the move? Anyone know how many Vystrels are actually Russian MoD, interior army and border guard? After all it is very useful vehicle based on standard Kamaz truck, what is also fine for logistics. I don't think it is worse than Iveco LMV, although it is heavier and not in the same class. All depends on whether it is the BTR-80A or the BTR-82A turret I guess. I don't think they would use a patrol vehicle for delivering fire on the move very often however so they might not be able to justify the expense. Of course if the old BTR-80A turret is no longer produced they might justify just making one standard turret... the actual difference of course is the stabilising systems. I hope they do as along with stabilised gun it has single 14.5mm calibre belts and other nice things too. medo wrote: Anyone know how many Vystrels are actually Russian MoD, interior army and border guard? After all it is very useful vehicle based on standard Kamaz truck, what is also fine for logistics. I don't think it is worse than Iveco LMV, although it is heavier and not in the same class. medo wrote: Is this turret stabilized to fire on the move? I forgot to add....yes it's stabilised. Reminds me a little of the BTR-152 actually, but with fewer wheels and better internal arrangement. Maybe not that often on the move, but they could fire warning shots to the vehicle or group of people on the move and stabilization give better accuracy when firing, that you don't kill people or do border incident, when it is not needed. Also it could give better self defense capabilities for violent places like North Caucasus. A moving target is harder to hit... particularly with unguided weapons like RPGs so I am happy for whatever the reason is. Hopefully they just took the BTR-82s turret as is, which means some night vision and stabilised optics too... though nothing like the BMP-3M level thermals of course. Interesting photo of Kamaz Vystrel 6x6 with army plates. It looks much better than the 4 wheeled version. Should make it a more stable weapons platform and enable more weight in the back. For my taste Vystrel 6x6 looks far more battlefield vehicle than Typhoon. It look lower and more stable design and protection is somewhere similar (low angle of armor plates gives Vystrel excellent frontal protection). medo wrote: For my taste Vystrel 6x6 looks far more battlefield vehicle than Typhoon. It look lower and more stable design and protection is somewhere similar (low angle of armor plates gives Vystrel excellent frontal protection). The Typhoon is just an armoured truck, it's not an armed combat or patrol vehicle like the Vistrel is. It looks like a truck and has all the functionality and features of a truck.. because it is one; just a well-armoured one but even then the focus on armour is not enough to make compromises on certain that make trucks good for transporting cargo around the clock; like for example - standard windows. 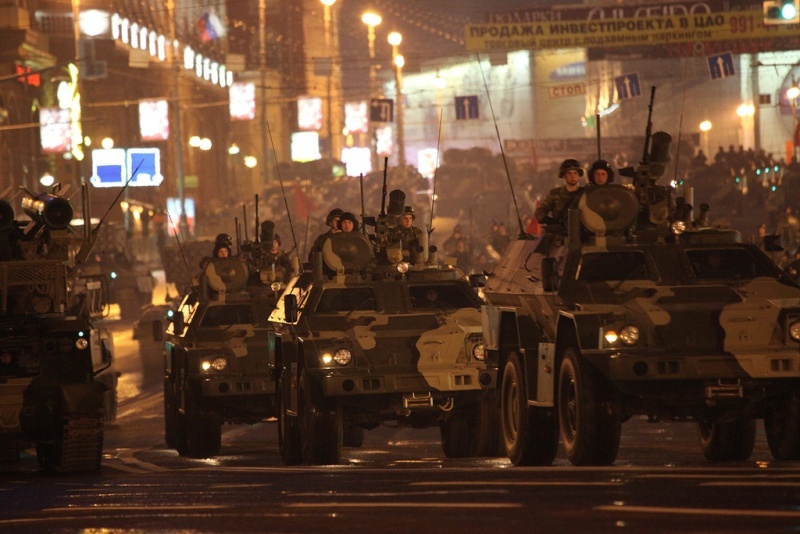 The Typhoon and Triumf are going to be very useful for the Interior Ministry and FSB troops in places like Ingushetia and Dagestan, where roadside bombs and ambushes are a constant threat and even some ordinary non-combat transport of men or military cargo from one place to another requires an well-armoured vehicle. Wouldn't expect them to be used in the regular army though, at least not the units concerned with conventional warfare. That's where something like the Vystrel, and of course the BTRs and BMPs come in. One thing I'm confused about though, is the whole situation with the light vehicles; there are too many of them. - We can safely assume that one of either the Ural Typhoon or Kamaz Triumf is going to be selected for the armoured truck tender; they are probably going to be employed with the Interior Troops and FSB, maybe some of the new Mountain infantry or whatever it is they are planning to set up too. - We have the regular UAZ Jeep in service (latest version being the UAZ Hunter model I believe). Now, what is the bog-standard venerable UAZ Jeep that is used for driving officers or whoever around, going to be replaced by? The Tigr, Skorpion-2M, Iveco Lynx?? - It's my understanding that the armoured, armed UAZ Jeep (UAZ Hussar), is on its way out. Again, replaced by what? Tigr, Volk, Iveco Lynx, Skorpion-LTA-B? - MRAP vehicle; what's it going to be? SPM-3? A version of the Kamaz Vystrel? - BRDM-2, now just what the hell is supposed to be replacing that? Kamaz Vystrel again? A lighter scout car of some kind? Now the funny thing about this, is that I'm sure I missed a good few ones out. Like the French Panhard that was looked over by the Russian MoD. I vaguely remember that there was a very light scout car being assessed too (could be the Skorpion-2M I am thinking of). We have the new ZiL prototype 'Karatelia' too. And I probably missed one or two more. And even when we get into the heavier vehicles, the confusion doesn't lessen much. Just what the hell is Russia doing with the Italian Centuaro? If it's to assess technologies then fine, but we made the same assessments with the Iveco and now we are buying it in numbers. 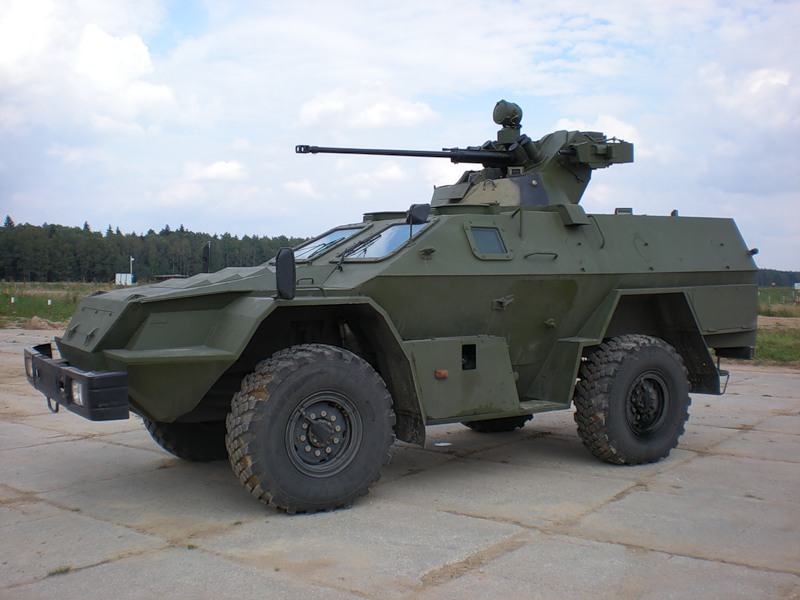 Other than that, we have a whole family of APC/IFV models on new chassis on the way anyway, and if we really needed a better stop-gap than the BTR-82/BMP-3, we can probably introduce the BTR-90 or whatever. In short - just what the hell is Russia doing? ?